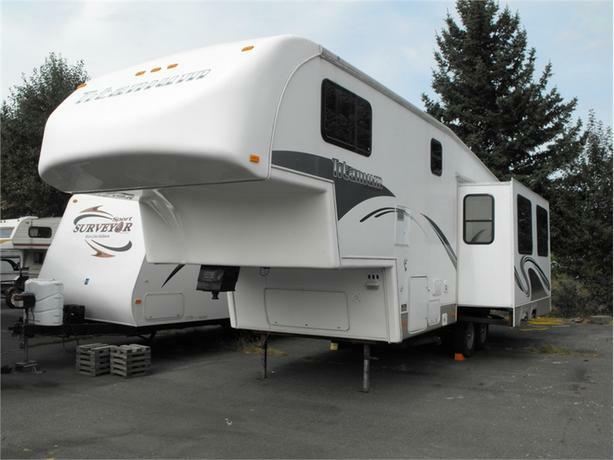 Great layout with lots of room in this bright and clean fifth wheel. Lots of storage inside and out, plenty of windows in the large rear living area. Side isle access to the front bedroom past the separated bathroom with shower. 1-888-390-7780 We have competitive financing available. Price does not include documentation and taxes. We are always looking for used units for sale.